Smart lighting as viewed by Artemide: enjoy a new experience and interact directly with the light via your smartphone. This system aims to establish light as an element capable of improving quality of life. This smart lamp lets you control the lighting thanks to a smartphone app, downloadable for free on Apple Store & Google Play. Calipso is part of a new generation of smart lights, capable of interacting with its environment. As such, Calipso saves several light moods which encourage well-being by matching your activity (relax, energy, creativity, etc.). You can create countless personalised light moods. You can also vary the light intensity. The Artemide app is a friendly and intuitive interface used to control an individual lamp or groups of lights. 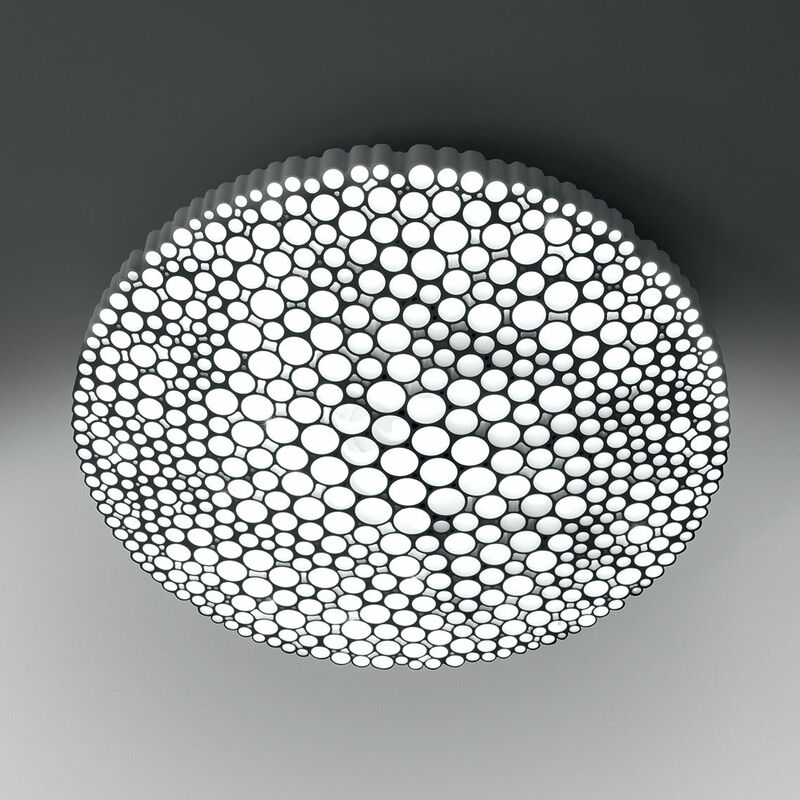 The organist and futuristic Calipso wall light boasts an incredible alveolar texture obtained using a cutting-edge technological process. A random assembly of tubes in different diameters forming a complex network of what looks like living matter. 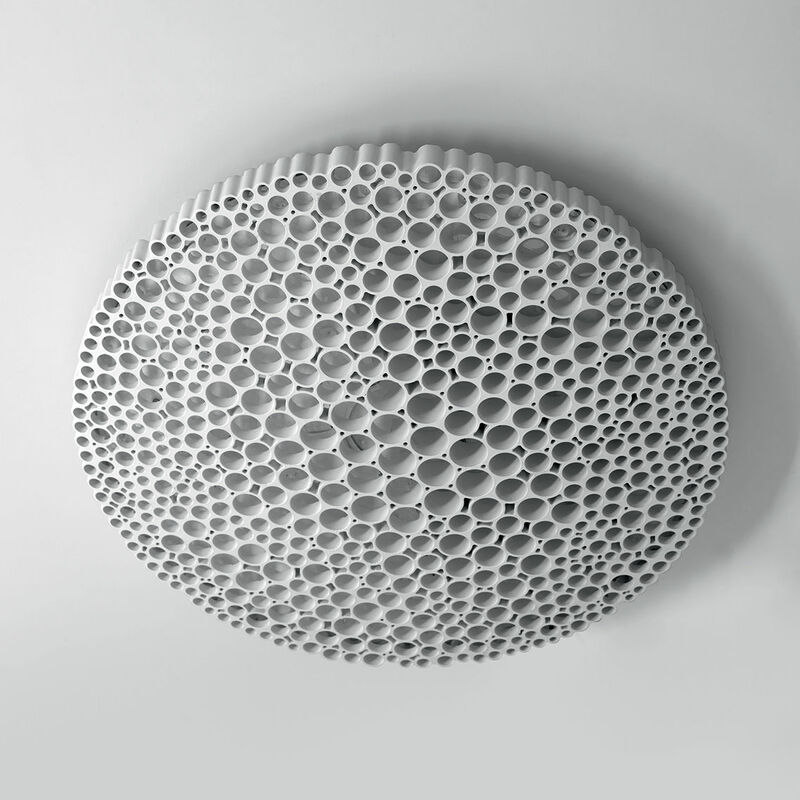 Its honeycomb structure is created using digital software reproducing the moon’s surface. Calipso is an ode to nature’s irregular beauty. A multitude of uneven circles creating a glittering, lunar appearance. 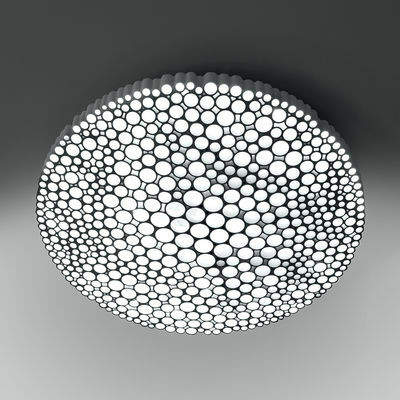 The honeycomb structure also casts a homogeneous and comfortable light.